Whether it’s a punch of color, a show stopping decor piece or a fun thematic style, flexing those design muscles in new ways keeps a space fresh. A fantastic example of this happened with a recent transformation to an outdated beach house. 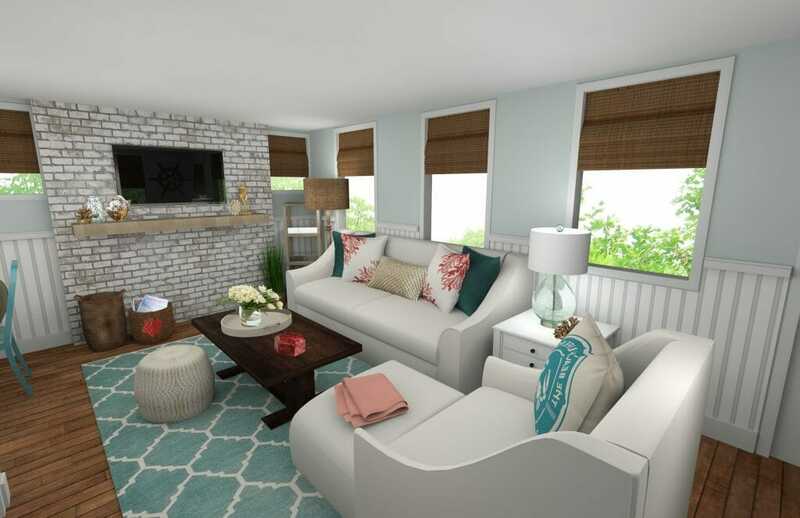 All it took was a little risk-taking and professional guidance from a Decorilla online interior designer to get a fantastic beach style living room. 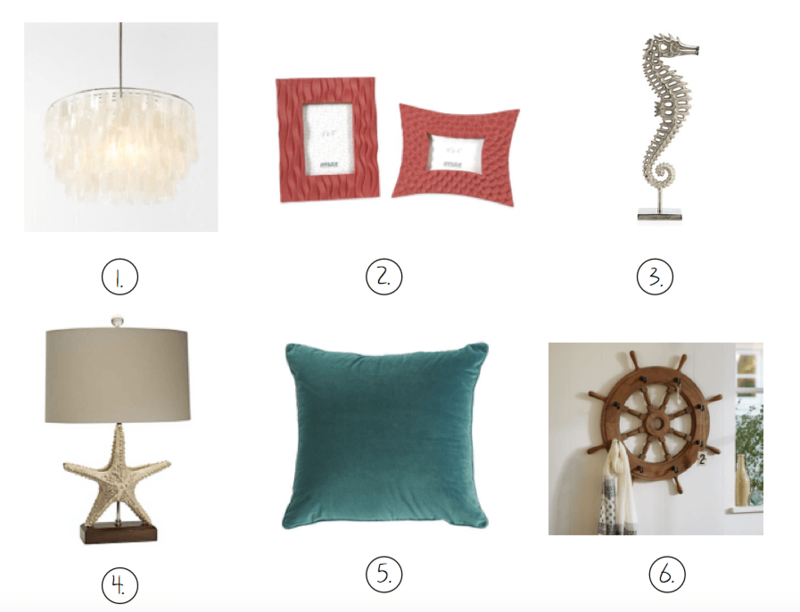 There are many ways to incorporate beach decor in your home. Subtle and neutral or energetic and vibrant, this is a great style to reflect a favorite environment. 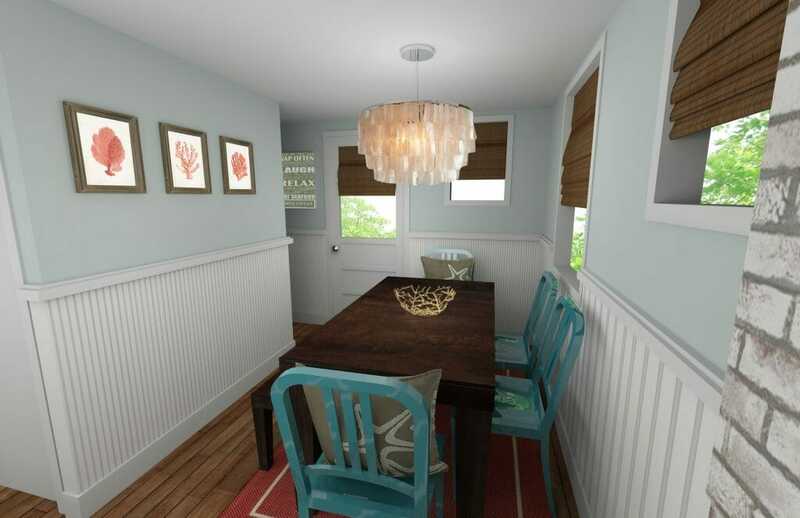 Online interior designer, Rachel H. took a design direction that met all of her clients needs. The beige walls and the red brick feel tired and dull; wanting a fresh look entirely, from paint to furniture. The client was open to thinking differently and moving beyond her comfort zone. 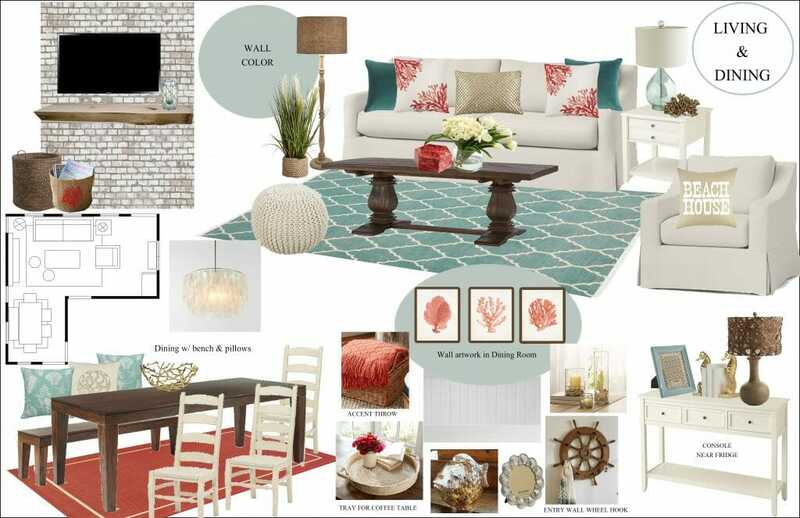 Her goal is to have a space that says beachy, modern, warm and fun. 1. They have a small child so no sharp edged or glass coffee tables. 2. On the off-season, they will be renting their home out so they prefer seating that has slipcovers. 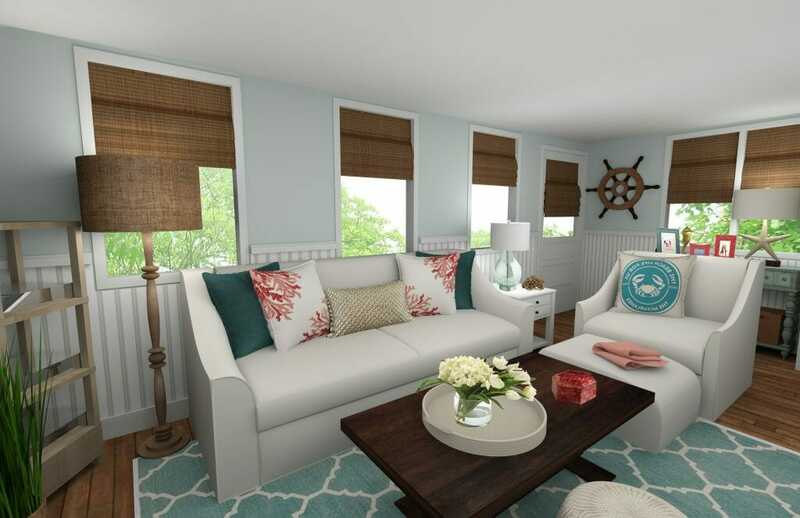 With free reign to revamp the entire look of the space, Decorilla designer, Rachel, drew from inspiration images embracing teal, coral and neutrals as the beachy color palette. A fresh coat of Benjamin Moore’s Beach Glass on the walls and Pure White on the fireplace gives the room an immediate change of vibe into a beach style living room. Keeping in mind the client’s desire to explore creative, functional elements with beach theme, Rachel integrated decor accents like seahorse bookends and a beautiful shelled Capiz chandelier. Glass, metal and velvet diversify textures throughout the space. And, for kid-safety and durability, highly used furniture like the coffee table, and console are intentionally selected in wood. Nautical notes on the walls and furniture really give the living room space a playful feel. Bamboo shades are consistent with the theme offering shade in the sunniest times of the day. 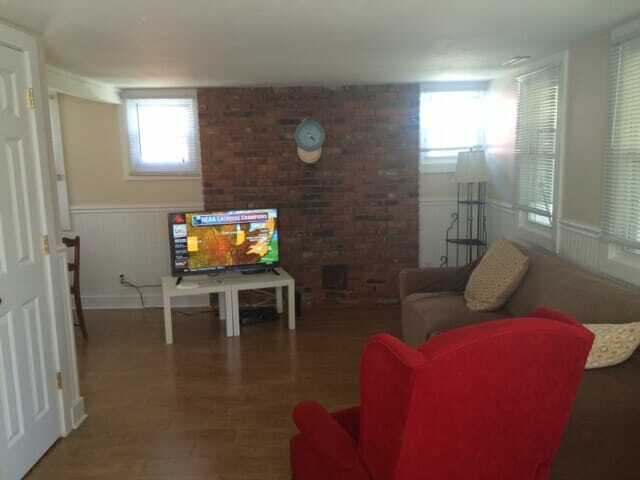 Maintaining the wainscoting , the rooms naturally have a beach cottage look. Paired with the wall’s pale blue, there is a calming and refreshing feeling added. Slip covered furniture makes it easy for changing and cleaning when the home is rented out to guests. The cascading ceiling lamp offers the dining area design impact with soft, luminous light glowing through shells. 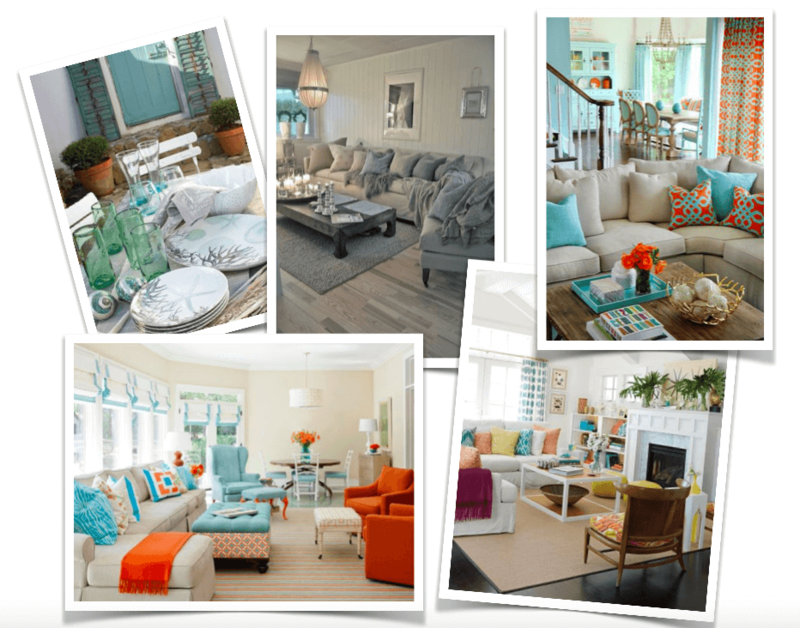 When looking to create a fun and festive beach style living room, color, pattern and texture are key. Here are some of our designer picks that made this project stand out. 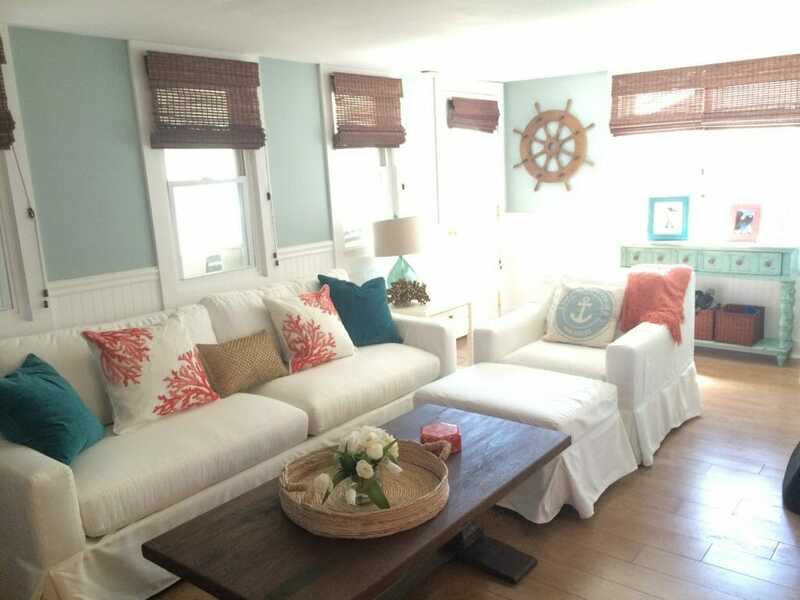 Inspired by this beach style living room transformation? Start an online interior design project now to get proposals from multiple professional designers and a beautiful, spatially functional design.